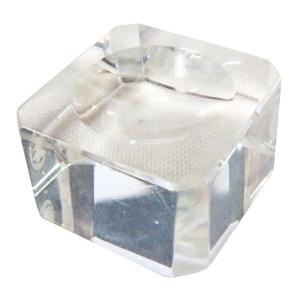 Clear crystal base with faceted corners. the smooth surface allows the marble to spin freely on the base. Approximate size is 1" x 1" x 1/2" tall.